Our great experience regarding the enforcement of rights is of vital importance for our advisory services and our clients’ success. Specialization and constant continuing legal education of our lawyers ensure the necessary competence and warrant time- and costefficient, achievement oriented, legal services. Our strengths lie in our openness to respond to individual needs, take on challenges according to the situation, and find the best possible practical solutions. We advise on all aspects of inheritance law, draft last will dispositions (testaments, contracts of inheritance), handover contracts, and contracts for the relinquishment of inheritance and compulsory portions. 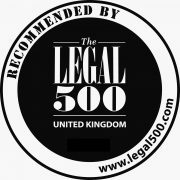 We work closely with members of excellent law firms all over the world and can recommend the appropriate local attorneys to deal with the authorities on location based on our professional and personal knowledge of our international collegues. We provide all legal services related to real estate projects and project financing for private clients, developers, building contractors and financing institutions. We support our corporate clients in negotiating and concluding national and international insurance contracts (master policies). We prepare and review your purchase agreement, act as escrow agent for the payment of the purchase price and attend to the tax aspects and land register registrations. We prepare gifting deeds and provide estate planning regarding the transfer of your real estate to the next generation. We prepare easement agreements, mortgage agreements, etc. and advise you regarding any concerns involving real estate and the land register. We advise our clients in all questions relating to landlord/tenant and housing law, set up lease agreements, and conduct tenancy proceedings. In particular, we alert our business clients to possible tenancy law related consequences of changes in their enterprise’s ownership or structure. We render advice in public tender proceedings and shed light on the “jungle” of the tender regulations. We support bypassed bidders in the enforcement of their rights against the entity giving the order illegally or against competitors. We represent our clients in all kinds of administrative procedures before the competent authorities, including the Constitutional Court and the Administrative Court, and also assist municipalities in the exercise of their duties. We provide services in all aspects of individual and collective labor and employment laws to employees and business management. We assist in the preparation of employment agreements, agreements with the factory counsel, regulations governing industrial relations, internal company pension plans, and the assertion of claims resulting from termination of employment. Regarding tax planning issues we work closely with Austrian tax advisers and international tax attorneys. We represent clients before the Austrian tax authorities and the Austrian Constitutional and Administrative Court. We work closely with correspondents in Brussels and thus have connections to the European Union authorities so that we can anticipate potential issues triggered by upcoming directives or decisions. We have special experience with Southeast European trade and have well established cooperations with leading business law firms in Slovenia and Croatia. Our litigation services range from representing plaintiffs and defendants as well as their insurance companies in damages and warranty cases to complex commercial or business disputes of all types, medical malpractice and product liability cases, unfair trade practices, white color crime and real estate cases. We represent our clients in national and international arbitration proceedings and enforce the arbitral awards. We also offer our experience in settling disputes through mediation Services. Apart from the economical aspects of our work, we also serve the common good and regularly support projects that are carried by social responsibility.